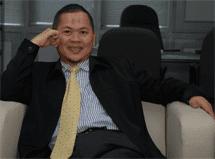 Gerai Dinar - English Version: Where is The Dinar Price Heading …? Where is the Dinar price headed this week? Where is The Dinar Price Heading …? I am writing about the trend of the Dinar price again; not to be ahead of the will of Allah, but it is a mere attempt to understand the existing phenomenon. Then using the knowledge blessed to us from Allah to try to understand what might happen in the future. Don’t think it is some black magic knowledge; it is just a simple statistics study, especially Oil and Gold price statistics. It will be like my article at the end of last year (27/12/07) where I tried to bring up the statistical fact that for the last 60 years, the Oil price is relatively stable if purchased using the Dinar money. And in my article yesterday In Order Not to be Bankrupt, once again I used statistics to update my previous article that the price of Gold/ Dinar for the last 8 years is relatively consistent with the increase of Oil price. Now I’m going to use those two statistics to understand where is the Dinar price heading this year; this time I will also use crude oil price forecast from two competent analysts in their field. First is the oil price forecast by Andurand from BlueGold (Bloomberg 7 March 2008), who forecasted the crude oil price reaching US$130/barrel this year. Second is the crude oil forecast by Goldman Sachs (Marketwatch- New York, 9 March 2008) that predicted the worst case scenario for oil price is it will reach US$200/barrel in the near future – if there is a serious oil supply disruptions. Looking at the geopolitics map of the world recently, then the serious disruptions to the oil supply Goldman Sachs is talking about, could happen. 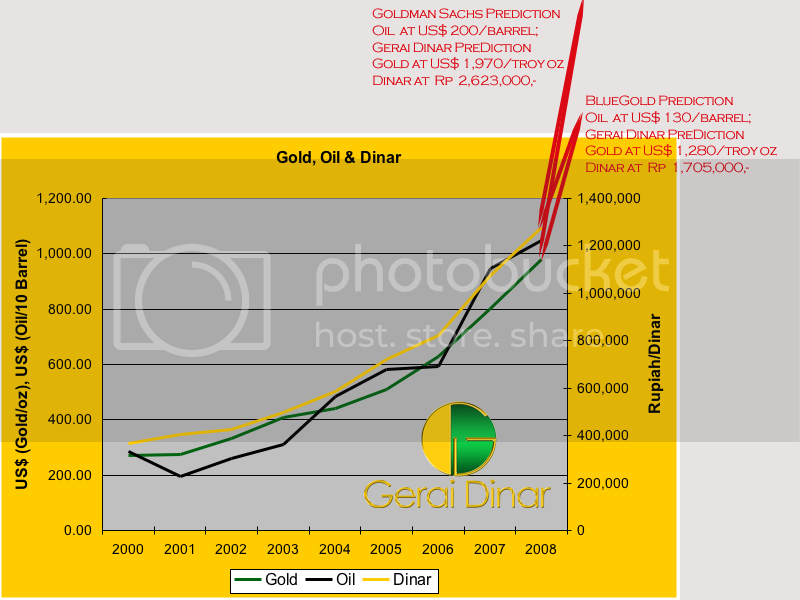 Because it the correlation between gold price and oil price is so apparent – represents the real commodity price most need by the humankind in this era, so starting today, Gerai Dinar will present the crude oil price in real time. Hopefully this global crude oil price information can help us understand the movement of global gold price, automatically the Dinar price. With the new forecast, therefore forecast/prediction I made before is obsolete. It is just a forecast made by a human being with limited knowledge, it can be wrong. Only Allah is Most Knowledgeable.